This is a nice catch. We will check what could be done. 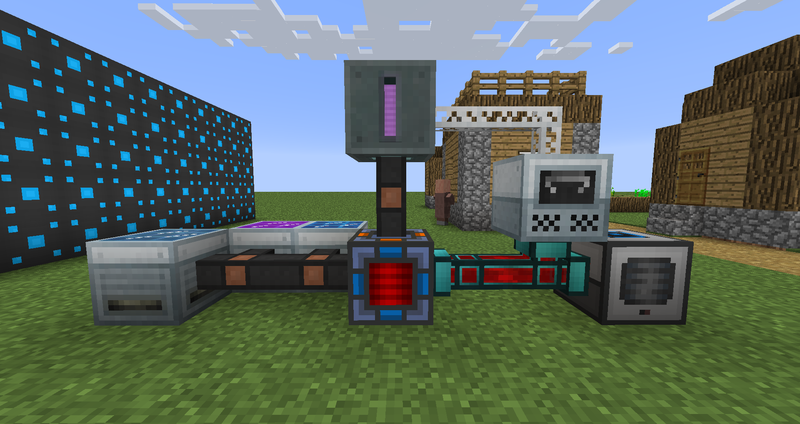 Are you aware of any mods that use this energy system so we can see if it is worth considering implementing this? For testing I used TechReborn because is based on FE and its cables connects to machines from other mods. Thank you for this extensive report. I will definitely look up the possibilities of this and add new procedure blocks to support the FE in the future updates. Most likely not yet in 1.8.0 as we have quite a big todo list already, but I will definitely consider this addition. 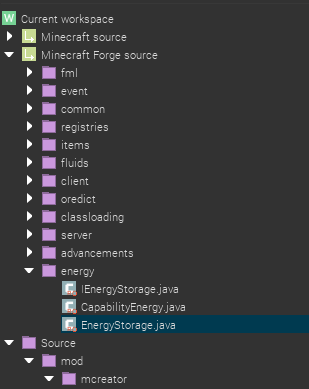 I have done some research and the energy system you showed - forge energy packet - only supports global energy system - like a global variable of energy stored per world. This will be implemented in future updates for sure. I can't wait for this to be implemented. Yes, this is a way of doing it, but we plan to add support for Forge Energy system which will be compatible with other mods. Woo hoo! This will be AMAZING! It could be a very helping hand, 'cause for now it's impossible automatizing processings and machines created with mccreator (i mean processings like Mekanism or Ender Io ones). how do I use the code of this power api on some machine of mine?